Scott Rosenberg is responsible for creating and driving the vision of Miro Consulting, which he founded in August 2000. With more than 25 years of engineering and operations experience, Mr. Rosenberg’s leadership has fostered significant company growth. Today, Miro Consulting has over 500+ clients across North America and has overseen more than $1.5 billion in Oracle and Microsoft transactions. 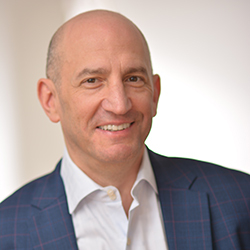 Frequently quoted by media outlets such as Computerworld, CIO and InformationWeek, Mr. Rosenberg is considered an expert in Oracle licensing and software asset management as well as Microsoft licensing. He also regularly contributes articles to industry publications such as Baseline, CIO Insights and SearchOracle and is a frequent speaker at industry conferences including SAM Summit and International Association of Information Technology Asset Managers (IAITAM) ACE. Mr. Rosenberg is also an active member of IAITAM and is a Certified Software Asset Manager (CSAM). He was recognized as a finalist in the Ernst & Young’s prestigious Entrepreneur of the Year® New Jersey program several years in a row. Mr. Rosenberg currently serves on the Screening Committee of the Soundboard Angel Fund, L.P.
Mr. Rosenberg earned an Industrial Engineering degree from the University of Pittsburgh. Mr. Rosenberg currently resides in Fort Lee, NJ. He holds a black belt (first Dan) in the Korean martial art, Tae Kwon Do, and is avid follower of the principles of the late business guru and father of modern management, Peter F. Drucker. 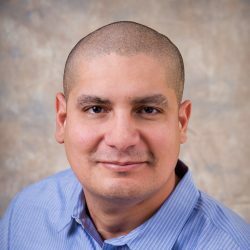 Eliot Arlo Colon, one of the world’s foremost experts on Oracle software licensing, is responsible for the ongoing development and delivery of Oracle cost containment services for Miro. With more than 20 years experience in the financial and technology markets, Mr. Colon has assisted scores of companies with the configuration, negotiation and management of Oracle software licensing contracts. Mr. Colon is frequently quoted by the media in publications such as The Wall Street Journal and IT Week, and is a frequent speaker at industry conferences including the Society of Information Management events. He is an active member of the International Association of Information Technology Asset Managers (IAITAM) and is a Certified Software Asset Manager (CSAM). He was also honored as a finalist in Ernst & Young’s prestigious Entrepreneur of the Year® New Jersey program. Mr. Colon holds a degree in Business from Middlesex College and a degree in Finance from Rowan University (formerly Glassboro State College). Mr. Colon currently resides in Brielle, N.J. An avid supporter of the MS Foundation, an elected member on the Brielle Board of Education, Mr. Colon participates in the local fundraising events as well as the annual coast-to-coast bike race fundraiser. 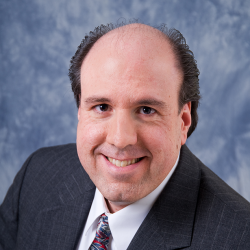 Wayne Federico manages the technology and develops processes to support Miro Consulting’s services. With nearly 20 years of project management and IT consulting experience, he works closely with CIOs and directors of IT from mid-sized and Fortune 1000 companies to align their IT needs with their business strategies. Mr. Federico holds a degree in Business Management from the University of Phoenix. Shawn Donohue is a New York City based marketing technologist with significant experience in enhancing sales, bringing in leads and generating revenue in B2B, B2C and Education Industry markets. Prior to joining Miro Consulting, Shawn was the head of marketing at the International Business Times and Newsweek magazine. He graduated from Pennsylvania State University with a degree in Telecommunications. Kevin Rodick is responsible for the overall financial planning and budget development of Miro Consulting including the administration of client budgets; fiscal analysis and planning; financial reporting and forecasting; contract administration; vendor management; and assisting the CEO in capital planning. 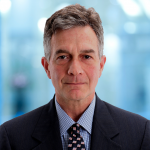 Mr. Rodick brings three decades of diversified financial and operations experience to Miro Consulting. Most recently, he was a Project Manager for Henkels & McCoy Hawaii office, where he secured, managed and was responsible for financial reporting and administration of multiple large (multi $ million) renewable energy projects. In this capacity Mr. Rodick negotiated large settlements for suspended/cancelled projects. Previously, Mr. Rodick specialized in private investment of renewable energy and functioned as the Director of Finance and International Operations for a privately held manufacturer of consumer products where his responsibilities included financial budgeting and reporting, banking relationships and cash management. Mr. Rodick began his career with Arthur Young. Mr. Rodick earned a B.S. in Business Administration from Rutgers College and an MBA from Rutgers Graduate School of Management. He also has successfully completed and integrated Leadership training from accredited organizations designed to boost performance with implementation of team-oriented cultures. Robert Kinkade (Retired – Consultant to Miro Executive Team) serves as an adviser for the overall financial planning and budget development of Miro Consulting including the administration of client budgets; fiscal analysis and planning; financial reporting and forecasting; contract administration; vendor management; and assisting the CEO in capital planning. 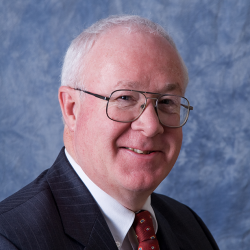 Mr. Kinkade brings more than three decades of diversified financial experience to Miro Consulting. Most recently, he was the CFO of Thomasville Home Furnishings, where he managed all corporate and administrative functions, including Accounting, Human Resources, Procurement, Customer Care, IT, Insurance and Legal departments. Previously, Mr. Kinkade has functioned as the CFO or a similar senior management position across various markets including IT consulting and networking, environmental engineering, and various manufacturing industries. Mr. Kinkade began his career with KPMG. Mr. Kinkade earned a B.S. in Business Administration from the University of Hartford and was the recipient of the Financial Executives Institute award for accounting studies, along with other academic scholarships and awards. He is a licensed CPA in the State of New Jersey.